SA's aim to increase foreign investment has yielded positive results - SABC News - Breaking news, special reports, world, business, sport coverage of all South African current events. Africa's news leader. President Cyril Ramaphosa is in Davos for the World Economic Forum. President Cyril Ramphosa says government’s aim to increase foreign investment in the country has yielded positive results. 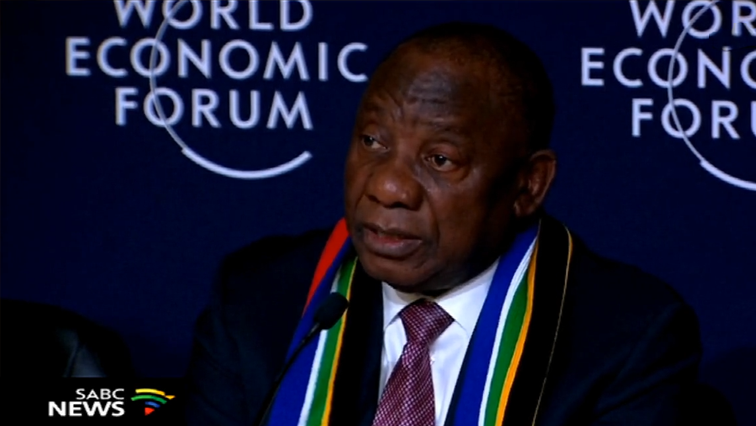 Briefing the media at the World Economic Forum in Davos, Switzerland, Ramaphosa also spoke on the Commission of Inquiry into State Capture saying it has shown the spread of corruption across many spheres of government and business. The Commission is continuing in Parktown, Johannesburg with former Bosasa Chief Operations Officer Angelo Agrizzi continuing his testimony. Ramaphosa says investment increased by more than 400% in the past year. This entry was posted on 23 Jan 2019,04:32PM at 4:32 PM and is filed under Business. You can follow any responses to this entry through the RSS 2.0 feed. Both comments and pings are currently closed.